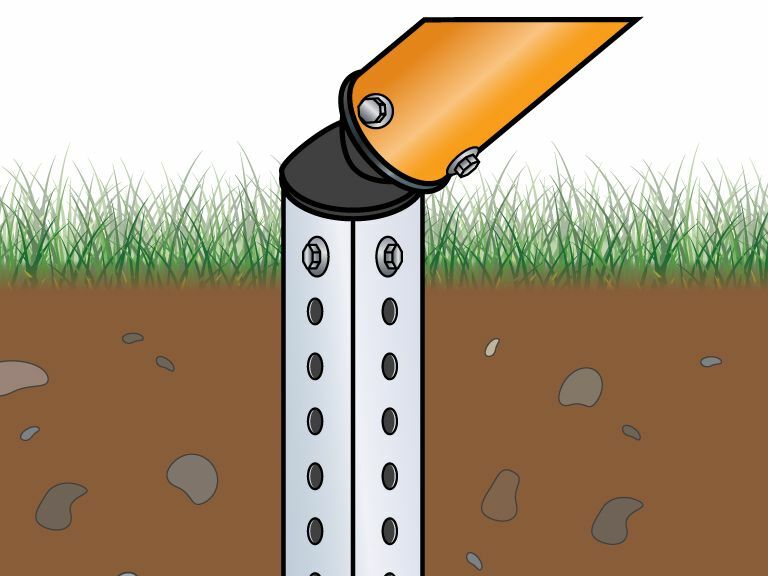 Our Drivable Soil Mount Gorilla Post™ delineators are designed for off road soil installations, whether located near hard surface parking areas or stand alone at areas such as trailheads. The delineator attaches to a 2” x 2” 12 gauge perforated square tubing. The 18” long tubing is sunk into the soil, giving the delineator an extra sturdy anchor point while still being flexible. This allows the delineator to receive an impact that minimizes damage to the delineator or to a vehicle. The Drivable Soil Mount Gorilla Post can be used with 12“-wide x 18”-long aluminum or plastic signs. The delineator measures 48 inches tall with a 2 1/3“ tube diameter mounted upon the 18’ long 2” x 2” 12 gauge perforated square tubing. See Installation Instructions for more details.